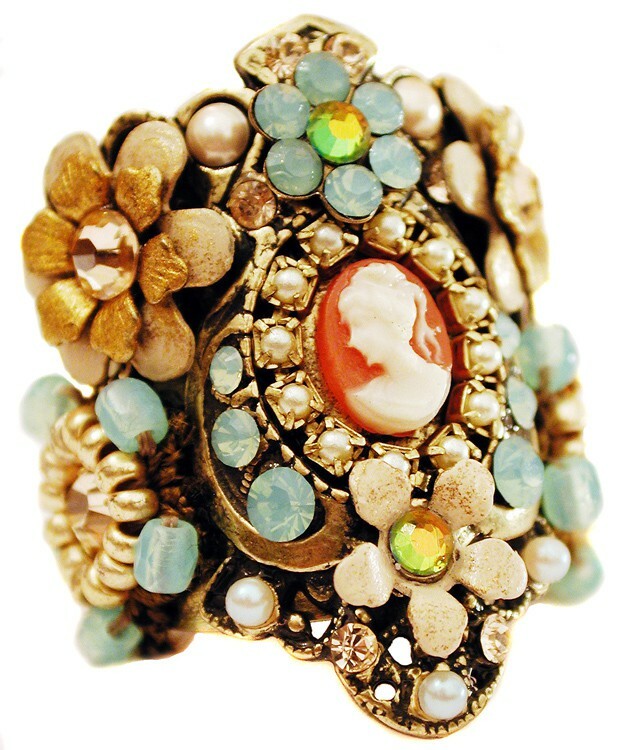 Michal Negrin cuff ring. 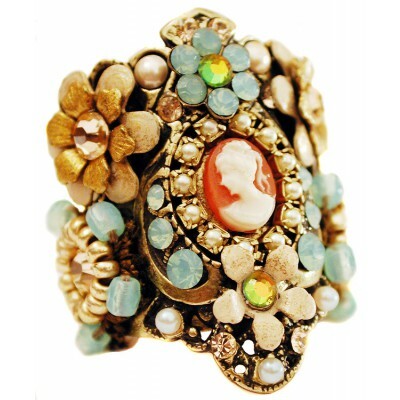 With a Victorian woman cameo, pearl, mint green and sparkling peach and green Swarovski crystals, cream and gold tone painted flowers and beads. Adjustable band. Measures 1 1/4 inch high.